According to a Wikipedia entry updated yesterday, Academy Award-winning actor Richard Dreyfuss is now a Brother Mason in the jurisdiction of the Grand Lodge of the District of Columbia FAAM. The ceremony was performed by M:.W:. Jesse Villarreal, Grand Master. On June 10, 2011, Richard Dreyfuss was made a Master Mason "at sight" by the Grand Master of Masons of the District of Columbia at the Washington DC Scottish Rite building, as well as a 32nd Degree Scottish Rite Mason. That evening he spoke at a banquet celebrating the 200th Anniversary of the Grand Lodge of the District of Columbia, about the Dreyfuss Initiative, a Research Society promoting civics and enlightenment values to be headquarterd in Charleston, WV. Making a Mason "at sight" is a power and prerogative in many jurisdictions (but not all) for a Grand Master to declare a man to be a Master Mason with an abbreviated ceremony, and without necessarily requiring the candidate to participate in the traditional initiation, passing and raising. In some grand lodges it is perfectly acceptable, while in others, it is forbidden. Such events are quite rare, and usually reserved for very special cases. The practice dates back to at least the 1730s in England, and was named by Dr. Albert Mackey on his list of Landmarks of Freemasonry. These Landmarks are not by any means universal. In 2001, he was the on-camera presenter in a documentary entitled Mr. Dreyfuss Goes to Washington, which was co-sponsored by the Grand Lodge of D.C., and co-produced by Past Grand Master Akram Elias. As I said, the practice is not universally done, or even allowed, precisely because of these questions. For instance, Ohio allows it, Indiana does not. Nonetheless, Brother Dreyfuss is now a Master Mason, and we do not make two classes of Freemasons. Obviously the hope is that he will return to lodge and see the experiences he missed. Making a Mason-at-sight has always included the conferral of all three degrees, sometimes in a slightly abbreviated form, but always including all three obligations. The only reason it's called "at-sight" is because of the waiver of a waiting time between degrees. All this can be read in Coil's Masonic Encyclopedia. In the early '90s I exchanged correspondence with the Gr Sec of DC who adamantly denied his Gr Ldg had made Masons-at-sight, even though their "all in one day" class fit the textbook definition. In 20 years, I've never known the Gr. Ldg of DC to turn down an opportunity to abbreviate the work or get it all done in one day. Has anyone heard from any source other than Wikipedia that this, in fact, happened? The Wikipedia article gives no source or citation for the news, and I haven't been able to find anything in various news and Google searches. I was unable to attend the Ceremony at the DC Scottish Rite Center due to work. However I had the pleasure of talking with Br. Richard at the Universal Brotherhood Dinner. We talked for a good six minutes about Mr. Holland's Opus and the importance of arts education in the Public School System. I enjoyed talking with him and it was a pleasure. What struck me was that he was willing to talk to me. I have attended lectures and presentations from other famous people as well as notable Masonic leaders. Some do not want to bother giving you the time of the day. 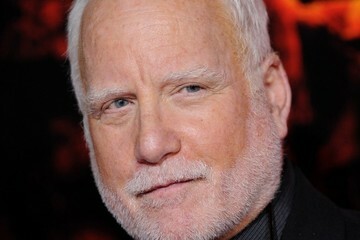 Richard Dreyfus was not like that his demeanor, personality was very brotherly. He did this with my guest from the Grand Lodge of New York. In his address to the dinner he gave a very passionate address of the importance of Freemasonry, the values we profess and the brotherhood that we hold. The dinner itself was great for the cross section of Masons we had present. 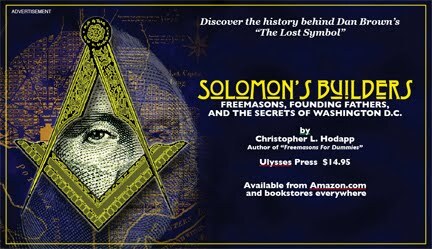 We had several prominent masonic leaders including the Grand Masters of Maine, New Hampshire, Maryland, Russia, Romania, several others that I did not write down. We had the Jurisdictional Master Councilor of DeMolay, we had the Imperial Potentate of North America, the Sovereign Grand Inspector General for DC as well as the Sovereign Grand Commander for the south. But in addition to all of these we had masons who joined only a couple of months ago, to masons who have been members for over fifty years. Yet, within all of that diversity no one put on airs, and everyone talked and bonded together. The one thing that connected all of us was our brotherhood. As is common with Wikipedia, the entry keeps getting messed with. But this event has been verified by many emails from brethren who attended. While HOW he was made a Mason may be considered controversial, the fact is that he IS a Master Mason. To me, while I personally promote the "long-form" of one's Masonic journey, it'd really a moot point. How Brother Richard now continues his Masonic journey is what is important. It's now my understanding that Brother Dreyfuss is a member of Potomac Lodge No. 5. Our son (a Brother) who lives just across the Potomac in VA, forwarded to me the email announcement from the GL of DC stating when/where the 'work' was to be done last week. As for the "at sight" aspect, I agree with most that the full meaning of the Craft is lost unless one takes the three degrees separately with time to reflect. That said, Bro Dreyfuss indeed is now a MM as are others who were 'made at sight' inc. most famously, Bro. Wm. H. Taft, President! All that said, no one is busier than a President and several Brothers who held that esteemed office still found time to be involved with time-consuming Masonic work; most recently Bro's FDR & Truman. My attitude is that if a President can find time to go to Lodge, anyone else can too. Presidents are busy. Actors are busy. Fathers are busy. We're all busy. However, while tons of groups have tried to promote "equality" and "unity," we are the only institution that has truly achieved it. Because we are all Brethren under the Great Architect. Regarding the Fraternity, I believe that when special accommodations are made for "busy" people, it ultimately creates a hierarchy. We need to all remain on the level. It's what makes us extraordinary. Regarding Brother Dreyfuss, I feel sad for him because he wasn't able to fully experience the wonderful journey to the sublime degree. To reflect. I almost feel like he's been done a disservice. However, I agree with Brother Hodapp, he is now a Master Mason and I too hope "that he will return to lodge and see the experiences he missed." Brothers, as a Texas Mason, I too wish Brother Dreyfess would have (he could have made time if it meant that much to him) went thorugh all of the degrees and had to learn ALL of the esoteric work the way I had to. As long has he recited the obligations and knows the modes of communications, I can accept him as a brother. None-the-less, I think and sincerely hope he will be a good ambassador for the craft around the world. There are a couple of things that I'd like to point out. The Grand Lodge in the District of Columbia is F.A.A.M. not F. & A. M.
Next, I personally I don't agree with one day degrees (at sight) at all and in fact in my jurisdiction the Grand Master has issued an edict that specifically spells out that while he is Grand Master he will NOT allow anyone to be raised to the three degrees in a one day (at sight) under any circumstances. Finally, given that there are serious accusations and an ongoing police investigation that Bro. Dreyfuss allegedly exposed himself and is accused of committing sexual harassment against women the Grand Master of DC should immediately suspend his membership pending the outcome of the police investigation and an internal investigation within the DC craft that either exonerates or finds him guilty. As has been exhaustively discussed last month until the country was blue in the face, allegations are not proof. If the brethren of the District of Columbia feel that such accusations warrant a Masonic trial, it is their decision to proceed or not, following the regulations of their jurisdiction. @Christopher Hodapp, But allegations can warrant a suspension at the Grand Master's discretion. There was an incident in 2017 in the Grand Jurisdiction of New Jersey in which a bro. was arrested for impersonating a state trooper after which I believe M:.W:. Hees suspended him until the prosecutors office ended up dropping all o the charges. "Just one more thing, sir..."